I’m such a fan of Jennifer’s. She was one of my great connections when I lived in Louisville – and she has visited me in San Francisco several times since then. 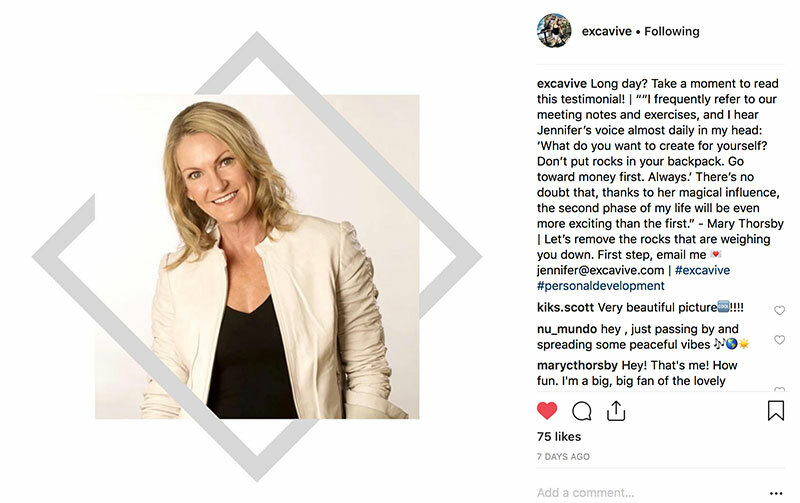 A fellow Texan, Jennifer has an amazing ability to truly listen and offer spot-on observations and advice based on her experiences and expertise. I love her quote: “Don’t put rocks in your backpack.” I try to remember that every time I eagerly take on too many projects and become less focused in the process. Jennifer’s a wonder speaker and facilitator, as well, and author of The True You: Tools to Excavate, Explore and Evolve. Sign up for her newsletter – I know you’ll enjoy learning from her as much as I do. By the way, I wrote the content for Jennifer’s website. If you can use some web content, too, let’s connect! I’d love to lend a hand!